Main Sanctuary which seats 2,200 people, under balcony view of the stage. The media team, L to R: Chris Forte, Ben Swaby, John Hogan, and Taylor Vlarik. Up at FOH where the immersive worship experience of full coverage sound, video & lights come together. 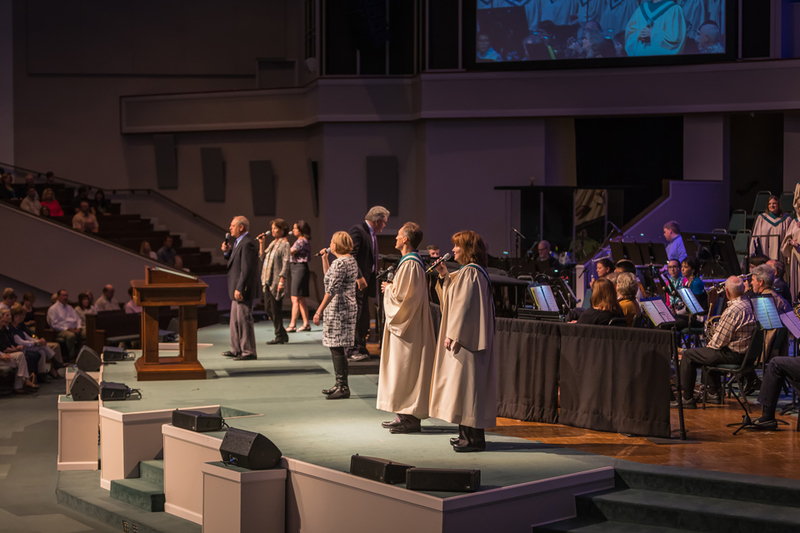 Many positions are manned by congregation volunteers. 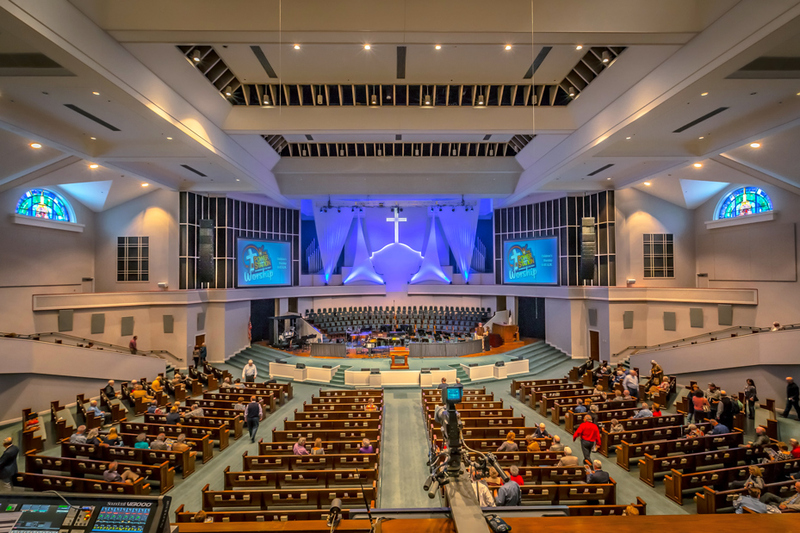 The beautiful main sanctuary at Hendersonville First Baptist features VUE al-8SB, al-8 and al-4 combo CST™ Line Array Systems as the mains. “Technical Innovation introduced us to VUE,” says Swaby. 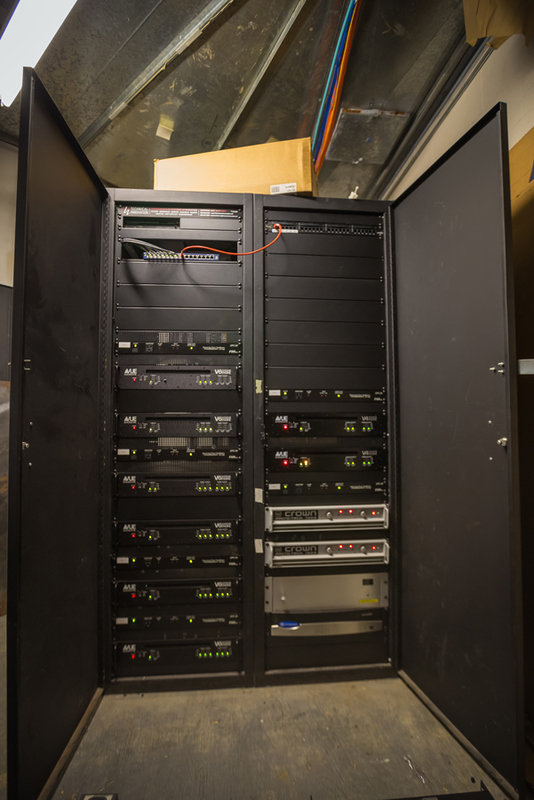 “There were probably about 25 factors we looked for while we were looking into the systems. 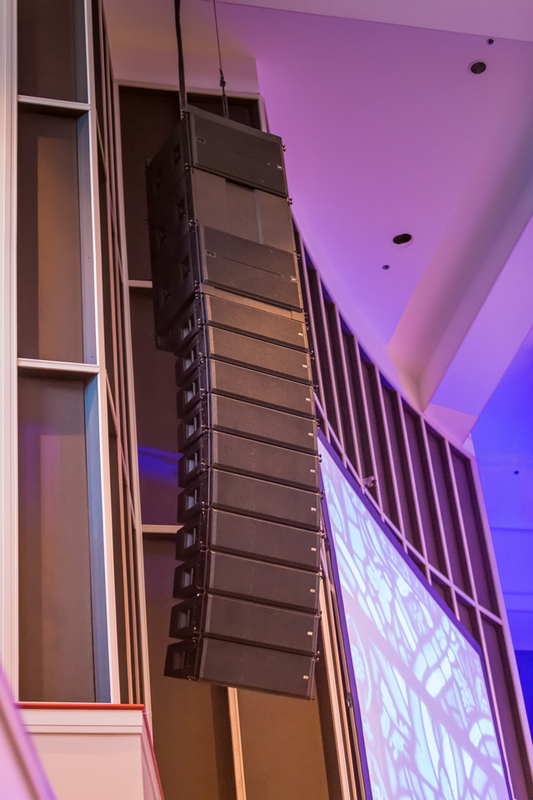 We wanted clear, accurate reproduction of sound throughout the sanctuary across a wide frequency range. 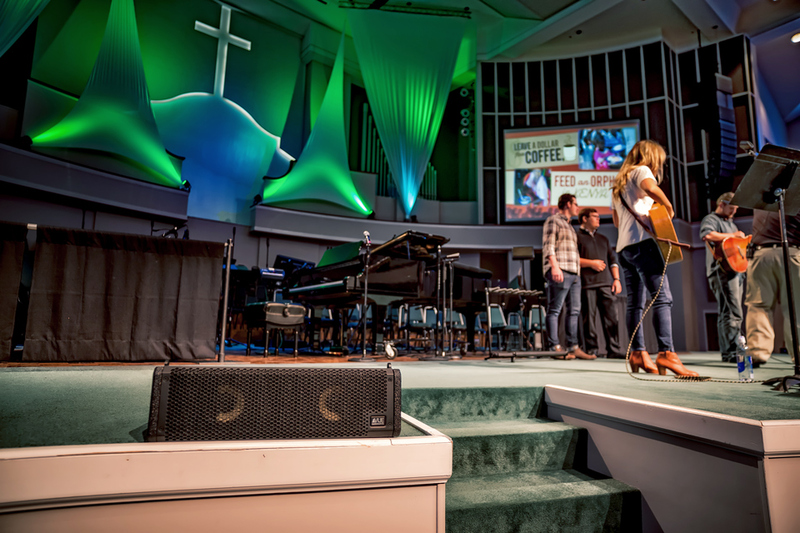 We compared other systems to the VUE speakers and VUE was consistently the best throughout the entire sanctuary. Our sanctuary has a pretty long response time in terms of echo, and without any treatment VUE produced the best response and intelligibility.” Swaby adds that a deciding factor when picking the system was the high-frequency compression driver in VUE’s al-8, which employs its proprietary Truextent® beryllium diaphragm. When compared to traditional diaphragm materials, such as aluminum or titanium, beryllium possesses a very high stiffness-to-mass ratio. One of the main hangs of VUE al-Class Line Array system. al-8SBs are flown in cardioid. 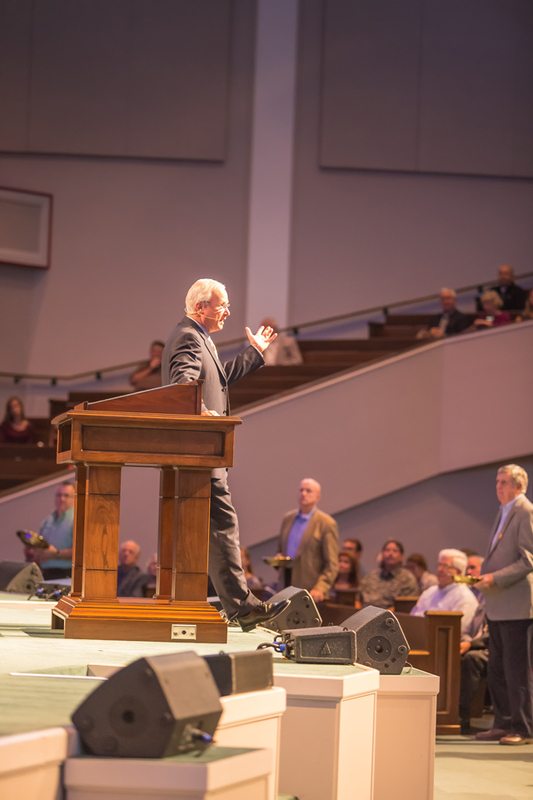 On stage lip al-4s cover the front rows, and a-8s on pedestals are used as monitors. 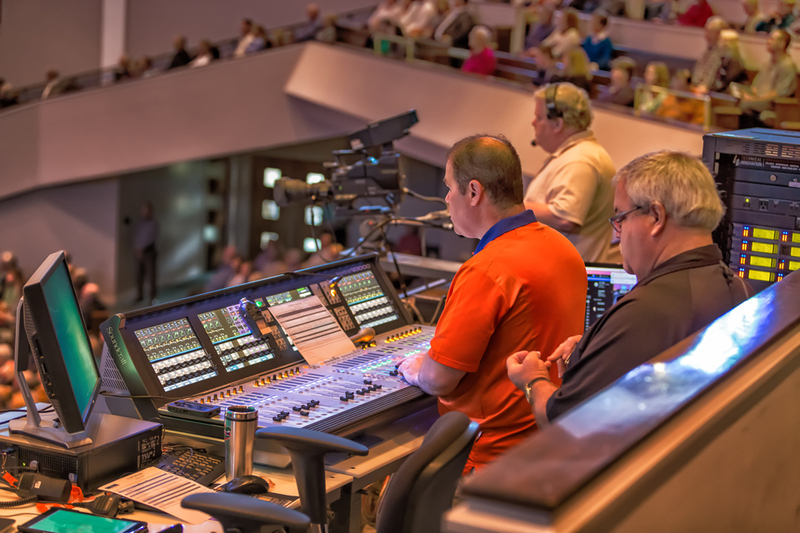 Read the CHURCH PRODUCTION MAGAZINE Article by Andy McDonough (Jan-Feb 2016 issue) ONLINE. 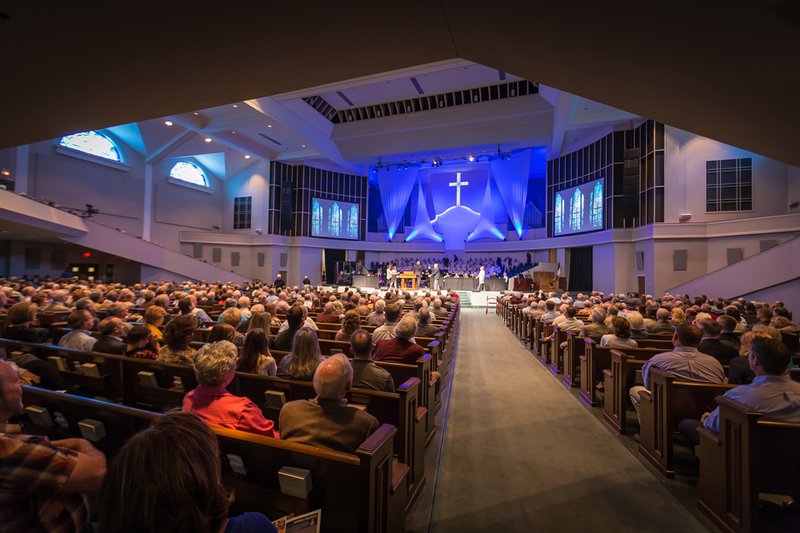 A full orchestra can be heard loud and clear as a stereo image throughout the sanctuary. 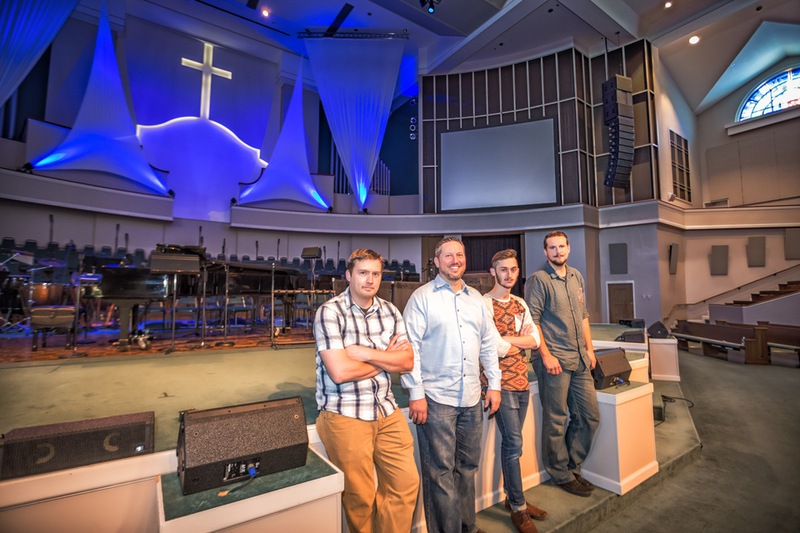 Rock bands play during sermons aimed at a younger congregation. VUE’s al-4 as a front fill.